Embrace Justice. 18 x 24 inches. Screen print on cream Speckletone paper. 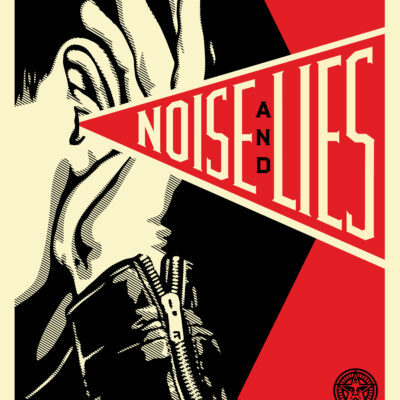 Signed by Shepard Fairey and Arlene Mejorado. Numbered edition of 475. $75. 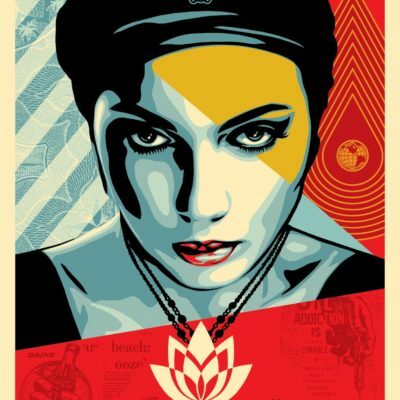 Available Tuesday, January 16 between 9 and 10AM (PST) and 5 and 6PM (PST) on ObeyGiant.com in Store under Prints. Limit 1 per person/household. 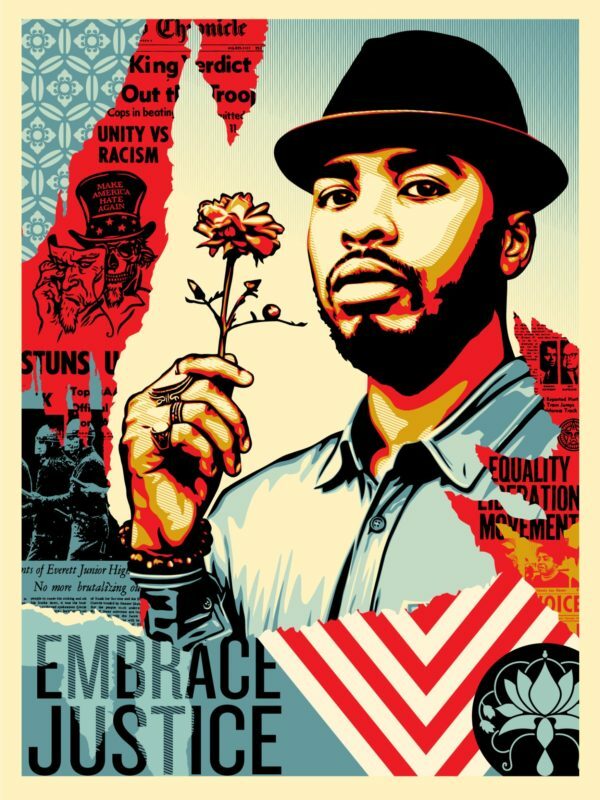 A portion of the proceeds will benefit Black Lives Matter and the Immigrant Bail Fund.